The technology has given various methods to secure yourself and your vehicles. 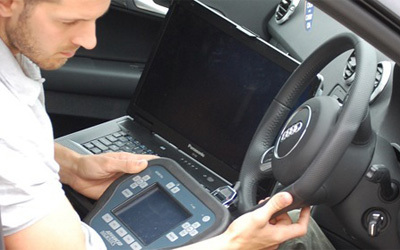 As compared to the traditional method securing your big investment like your car has become easier with the help of transponder key programming. The primary benefit of having transponder key is, it lowers the risk of automotive theft. The transponder key has the micro-chip fixed inside it which increases additional security measure. The chip releases the signal that communicates with your car’s transceiver. On getting the correct signal it locks or unlocks the car. In case, the signal is incorrect, the car will not operate. Thus, no one can access your car if it does not have the respective transponder key. Should I Program My Transponder Key? Nowadays, almost all car brands come with the transponder key. There are some older model of cars which need the transponder key. Once analyze around the world where theft case take place almost everyday. If you really consider securing your vehicle then you should program the transponder key. How Much Time Does It Take To Program A Key? Transponder key programming takes only a couple of minutes. No matter, how busy life-schedule you have, you can get your car key programmed without spending too much time. Can I Program My Transponder Chip My Own? If you have a good knowledge about transponder chip, you can do it yourself. The whole process requires two working keys, but it also depends on the car brand you have. Remember, each vehicle has its own programming method and process pattern. In order to prevent any damage, you can get the assistance of a professional locksmith. Fort Saskatchewan 24/7 Locksmith can provide almost all key and lock problem solution. Whether you are looking for transponder key programming or want to install the new lock system, you can call our experts anytime.